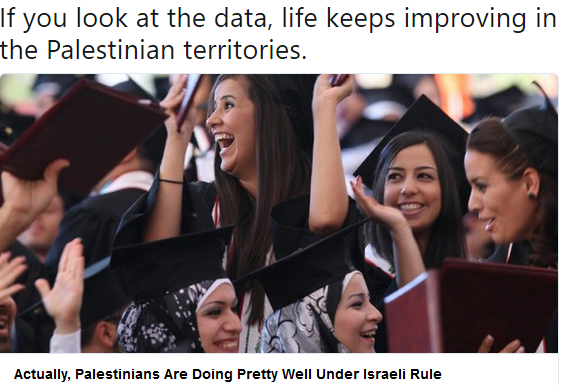 Empirical data about life in Israel and the Palestinian territories has been compiled by distinguished Israeli journalist Ben-Dror Yemini and his recently translated 2014 book Industry of Lies shows just how ludicrous the genocide charge is. Begin with life expectancy. At the end of the Six-Day War in 1967, when Israel took over the territories from Jordan, the average Palestinian in the West Bank and Gaza expected to live just 49 years, according to a U.N. report. In 1975, Palestinian life expectancy rose to 56; by 1984, it climbed to 66. Yemini notes that this is ?a rise of almost seventeen years in longevity within seventeen years of Israeli rule.? Since 1984, Palestinians have lived an average of 75 years. That?s not only higher than the global average, but longer than the life expectancy in many Arab and South American countries?and even in some European countries. Israeli Arabs, meanwhile, have the highest life expectancy in the Muslim world. BILOXI, Miss. (JTA) – A homeland security conference took place in a southern Mississippi town with an Air Force base and a shipbuilding yard. 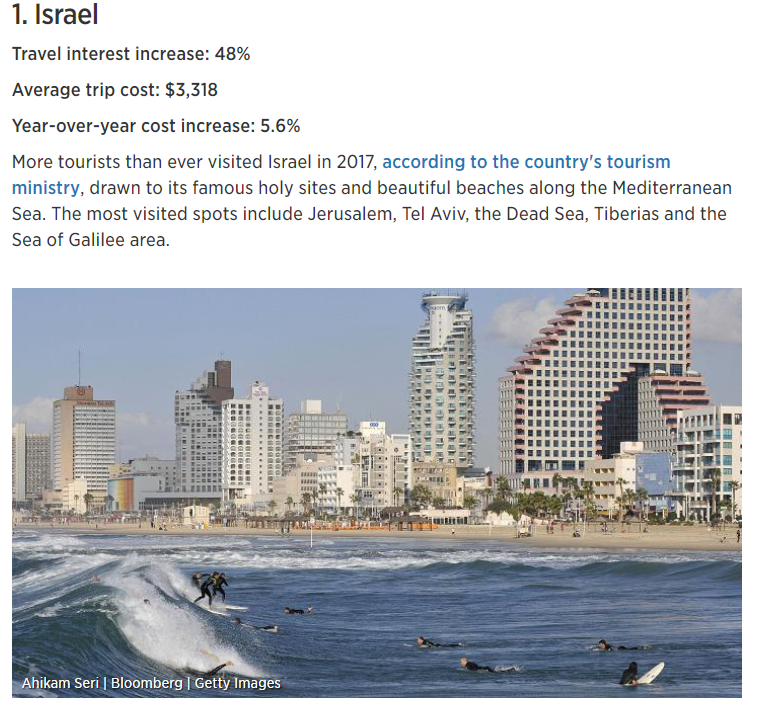 In a study headlined “Americans remain staunchly in Israel’s corner,” the Gallup company published the findings of a major national poll that found backing for Israel among Americans remains extremely high, with some measures of support matching the highest previously recorded figures. “Americans’ stance on the Israeli-Palestinian conflict is as strongly pro-Israel as at any time in Gallup’s three-decade trend,” the polling research company said in the report, published Tuesday. Fully 74 percent of American adults have a favorable view of Israel, while 23% have an unfavorable view. That’s the best showing for Israel in 27 years, since 1991’s 79% as Israel was battered by Iraqi missiles during the Gulf War. The good news for Israel is a “reverse image” of Americans’ opinion of the Palestinian Authority, Gallup said, with 21% saying they have a favorable view of the Palestinian government and 71% reporting an unfavorable one. The company reported $3.4 billion in revenue in 2017, 3.6% more than in 2016, while fourth quarter net profit grew 3.4%. Israeli defense electronics company Elbit Systems Ltd. (Nasdaq: ESLT; TASE: ESLT), managed by CEO Bezhalel Machlis and controlled by the Federman family, finished 2017 with $3.4 billion in revenue, 3.6% more than in 2016. The company’s sales of land-based systems improved as a result of increased sales in Europe of electronic warfare systems and tanks systems. Elbit Systems also benefited from a rise in sales of electro-optical systems, featuring sales growth in air intelligence systems, night vision systems in the Asian Pacific region, and airplane defense systems in other regions. No financial details were disclosed but the acquisition is likely for a small sum. Last year Invertex raised $2 million in a seed financing round led by OurCrowd and with the participation of international retail chain Permoda, and angel investors. US drug company Mylan N.V. announced Tuesday it would acquire the international marketing rights to a once-monthly treatment for Multiple Sclerosis developed by an Israel’s Mapi Pharma. Glatiramer Acetate Depot is a long-acting drug designed to replace daily injections with a once-a-month alternative for people suffering from relapsing-remitting MS.
Relapsing-remitting MS, or RRMS, accounts for 85 percent of all initial diagnoses of the disease, the companies said. Mylan already sells a generic version of Teva Pharmaceuticals’ widely-used MS treatment, Copaxone. But, if GA Depot successfully completes its Phase III clinical trials, it will be formidable competition to both Copaxone and Mylan’s generic version. The companies did not disclose how much Mylan was investing in Mapi, but the Haaretz daily put the figure at $20 million. The Boycott, Divestment and Sanctions (BDS) movement is threatening to sue Netflix if they don’t drop the Israeli television show Fauda. In response, over 50 entertainment executives have signed a letter saying that they stand with Netflix. @Google has opened its new start-ups accelerator in #TelAviv! The new accelerator will assist start-ups that specialize in machine learning, #AI & data science. This is the 1st time #Google has taken its machine-learning program outside the US. JTA — Israeli doctors performed surgeries to fix severe spinal deformities as part of a weeklong medical mission to Ethiopia. The Hadassah and Ayder hospitals have a partnership dating back five years, with Israeli medical students doing rotations in Mekelle, and Ayder physicians receiving training and supplies from Hadassah. German TV cancels backing for planned concert with former Pink Floyd front man due to singer’s anti-Israel activities and alleged anti-Semitism. A Roger Waters concert was nixed after Cologne resident Malca Goldstein-Wolf launched a petition to prevent the Westdeutscher Rundfunk (WDR) television network from using public funds to sponsor the event. The petition referenced the rocker’s use of anti-Semitic rhetoric and imagery, and gained nearly 1,400 signatures. Waters has compared the Israeli government to Nazi Germany and has claimed the “powerful Jewish lobby” runs the media. Waters recently campaigned to pressure Radiohead and Nick Cave into canceling their concerts in Israel. The efforts failed. It’s been four years since since the rock band America canceled a show in Israel when the Gaza war broke out. But now the group is finally making good on its promise to return. America, the folky pop group that saw its biggest commercial success in the 1970s, will be performing one show on October 9 at the Caesarea Ampitheater. The other original member of the band, Dan Peek, left in 1977 for a solo career as a Christian performer. He died in 2011. Even Kibbutz Beeri on the Gaza border paying out massive dividends to its members.